Ideal award for successful climbers of the career ladder! 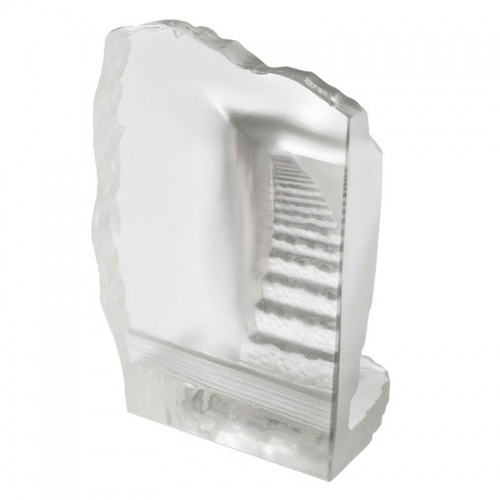 These superb awards are crafted in flawless optical crystal and feature a thick block (it measures 6.5in wide by 3.5in deep) with uneven edges and a curved staircase disappearing towards the top of the award. It can be engraved on the front of the block and each Stairs to Success award is supplied in a lined presentation box.